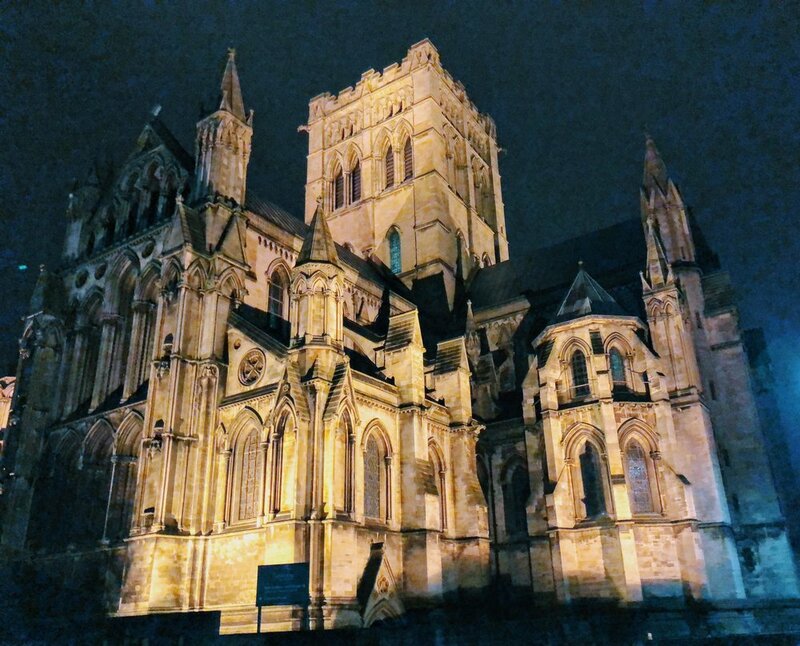 This weekend (27th Jan) we went to our spiritual home of Norwich, the UK’s greatest city. We were there for less than 24 hours, but we crammed a lot (mainly of eating) in to that short time. Rosalind opened the door to the place we stayed in and almost fell head first down the stairs. It was a lovely, boutique underground bunker, with an unfortunate penchant for attracting spiders. Four years ago Rosalind, Juliette and I attended our first Danceitation. We loved it, and have been keen to do another one since. It is what it sounds like; a cross between dancing and meditation. This was Ross’s first one, and it seems like he liked it. He was the swooping king. We aimed to go to our favourite brunch spot, Cafe 33, but sadly there was a twenty minute wait, so instead we got cake to take away, and went to Franks. Living in London and Brighton, as we do, we were struck by the price. All this food for £6.50. Unthinkable in our home cities. A mere two hours later we joined our friends Cordelia and Pete for lunch in The Crown in Pulham Market . Ros and Juliette had the trimmings of a roast, and Ross and I had goats cheese frittatas. A fantastic time was had by all, and despite the briefness of the visit, we all felt refreshed and energised by our time in The Finest City in England.